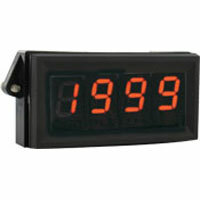 Digital indicators for temperature. Applications include panel process indication, refrigerators, walk in coolers, and tank level. 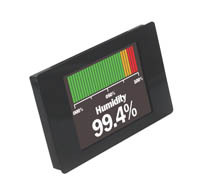 Most models have a digital panel which is easy to read. 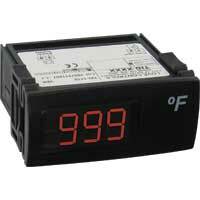 Models display temperatures and most models have control of a process temperature. 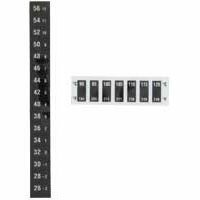 Label and strip indicators for temperature. 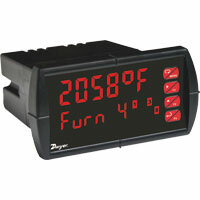 Ideal for monitoring and verifying temperature specific operations. Models are resistant to oils, water, and steam. Labels are able to be placed on any smooth surface quickly and easily. Question 1. 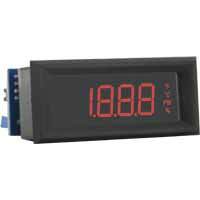 What is the input impedance of the SPPM meter with voltage input? I'm replacing an old analog meter with a 0-100 uA movement with a more reliable digital panel meter. Question 2. The analog meter I want to replace has a two-range non-linear vibration scale 0-4 Grms and 1-10 Grms. Is it possible to create non-linear calibration curves for the SPPM? The SPPM with the voltage input has a 10MΩ input impedance. Also, a non-linear calibration curve can be created by merely using the software in the SPPM. One can use the sensor linearization and use up to 20 calibration points and even have your results converted into a .csv file.